Under the guidance of the Governor of Anbar, Engineer Mohammed Rikan Al Halbusi Al Halbusi, Deputy Governor, Dr. Ali Farhan, visited Anbar Investment Commission’s headquarters and reviewed with Anbar Investment Commission Chairman, Mr. Mahdi Al-Noman, all the details related to the Fourth Annual International Investment Conference scheduled to be held in Amman on October 17 and 18. 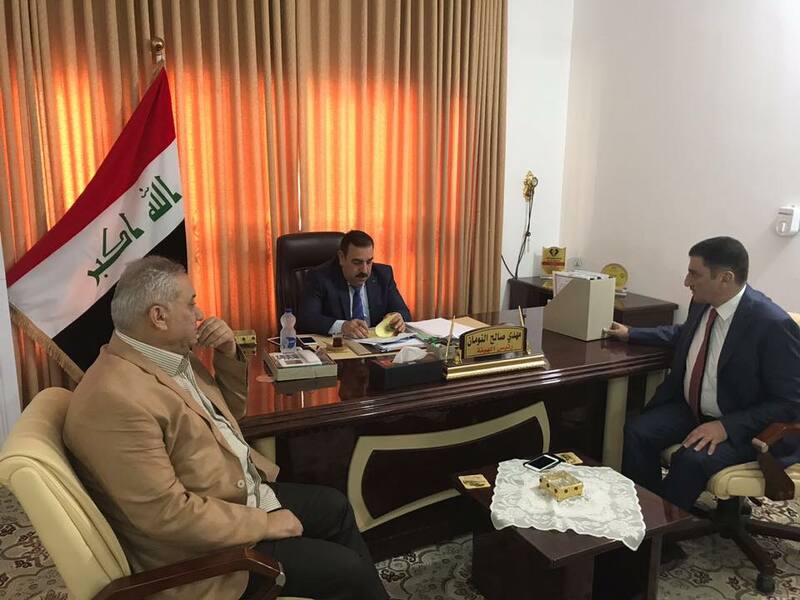 Dr. Farhan expressed the provincial government’s support of Anbar’s investment portfolio that will revive the economy and create real job opportunities for thousands of young men and women in Anbar. Mr. Al-Noman explained the major investment opportunities that the Commission will present during the conference and the mechanism of promoting these opportunities to attract interested investors.